I bought an Arturia Beat Step Pro a few years ago when my friend Andrew Horton decided to sell his. I had been interested in them but hadn't got around to buying one yet. So... I agreed to buy Andrew's and was excited to use it. ... then it sat on a rack next to modular gear for about a year and a half. I hardly even turned it on. Though I have a lot of equipment, I like to have uses for things. I simply had not found a use for it yet and I was wondering if I should sell it or pass it on. ... until I was rearranging some equipment and I realized that I needed some clocks to reach across the studio to another part where some mono synths were. I didn't want to run several 1/4" clock cables from various modules and devices across this space, so I took 1 sync cable to go to an MSQ-700, which is connected to sequence the Jupier-8, then the sync is daisy chained to another MSQ-700, which is connected to sequence a Juno-60, then the sync is daisy chained to the Beat Step Pro, which is distributed to clock the Sequential Pro One, CSQ-600, etc. It finally has a very useful spot in the studio! I will be speaking on Saturday at this year's Knobcon event. 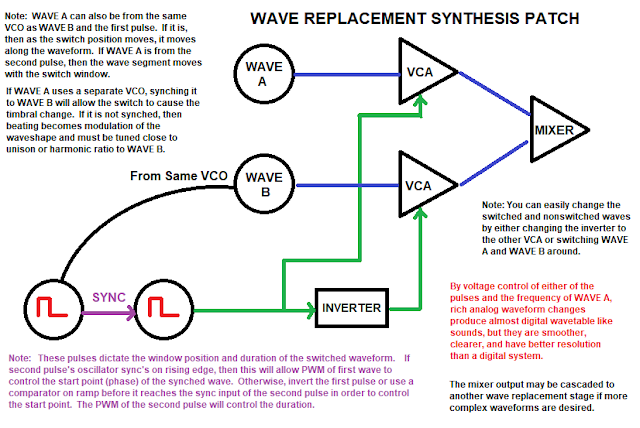 I will be talking about replacement synthesis and showing examples of this. If you have any interest in synthesizers or electronic music, do yourself a favor and visit Chicago this weekend for the annual Knobcon Event! So this video is compiled from the 3 shows that I performed back in November with Sound of Ceres. For each of the shows, at least 2 cameras were recording footage. The audio from each of the shows were recorded into a 4 channel recorder (2 stereo ambient/audience/room microphones, 1 vocal feed, and 1 feed of the live instruments). These recordings were added to the backing track Protools session, where all in all, the 12 live tracks/takes and 30 backing tracks were combined into 1 mix of my favorite moments/sounds in the concert. With this initial rough mix, I had my friend Jeff Mackey edit the video. From this point, there was a lot of back and forth - editing this, cutting that, changing from this audio track to that audio track, changing from this video track to that video track, editing color and such that all the footage looks congruent. Also, please know that I intend to upload the individual videos of each song eventually so if there is a moment that you want to watch again or refer to, the individual vids should be up soon.